September 7, 2018 by Enxhi 6 comments on "Media.net Review for Publishers 2018"
Media.net is an ads network like Adsense. It's the biggest ads network after Adsense and some people report that their ads were more profitable than those of Adsense. The best thing about Media.net is that you get an account representative, an actual human being who will optimize your ads to increase the earnings. In my experience they did an excellent job and I experienced higher earnings compared to Adsense. Media.net is the second largest company of contextual ads (after Adsense) and some of it’s largest clients are Forbes and Yahoo. In this Media.net review I share my experience with the network and the results I have achieved with it. When I first started using Adsense on my blog I would make just a couple of dollars in a week. I’d heard that you need to have more than 200,000 visitors a month in order to make more than $100. I concluded that Adsense wasn’t working for me and it was better to focus my blogs only on promoting affiliate offers. 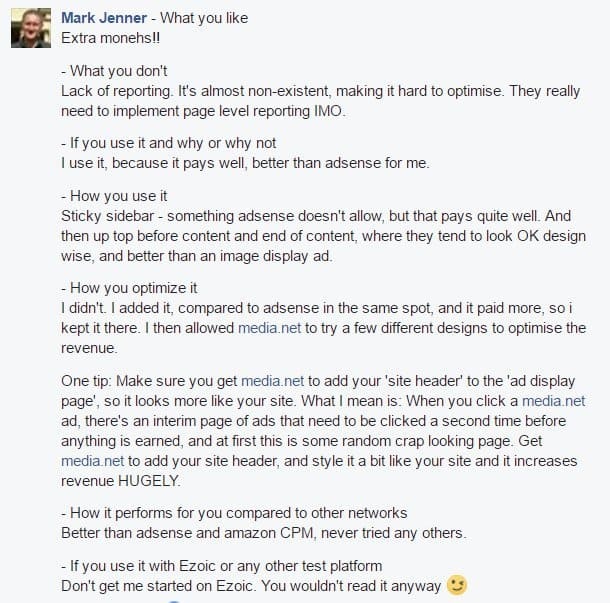 After some time, I was reading one blog online which was promoting Media.net and was claiming that it outperforms Adsense. I decided to try it myself. I started earning about $1 a day, which doesn’t seem a lot, but was still more than I was making with Adsense. I did some more research and I found out that the Media.net team can optimize your ads for you, so I decided to give this a try. My revenue increased by 50%. Low minimum traffic to get started. Access to an account reppresentative. You need substantial traffic in order to make money. Sometimes sites can be rejected if they don’t have enough content. You need to be in a suitable niche, for this read the below list of prohibited content. Mixed reviews about account reps. Creating an ad unit with media.net is a very simple process. You can easily customized your ads in terms of sizes and colours and you can add tehm to your site by simply pasting a HTML code into the source code of your pages. They also have mobile ad units available. The dashboard is easy to use and generate reports. You can select the dates that you want your report like a week report, or month or any other custom period. You can get paid by Paypal or Wire transfer and the minimum threshold is $100. It is also very easy to contact support for whater problem you face. Media.net ads work best when there are one or two ad units per page. Media.net is only a complementary to Adsense and not a complete substitute. I think this is because they both are good at different things. Adsense tends to have better image banners and Media.net excels in banners within the text. The way that Media.net differs from Adsense is with it you have an account manager to whom you can ask questions and get answers. Adsense is more of a “black hole” on this, while Media.net gives you access to a human being who can answer all your questions and even give you suggestinons to increase your earrnings. They are trained to optimize your ads for ROI. This is a big advantage for anyone who has struggled to contact Adsense for questions. They handle almost everything like design and colors, the only thing that they don’t handle is the layout. They may give you suggestions about the layout but you are in charge of that, just keep in mind that they might advice you to put their ads in prime position. 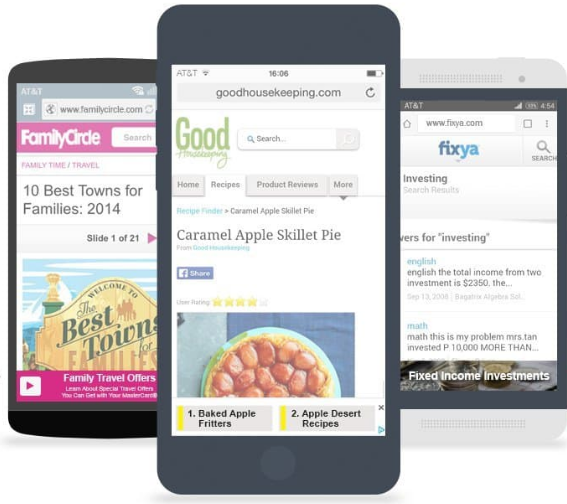 Your account rep with also make and test mobile banner ads for your site. My rep has been so valuable for the profitability of my site, I simply wouldn’t have been able to make the kind of earnings that I make without my rep. However, if you do a quick search about Media.net account reps you will find mixed reviews. I don’t know about other people’s experiences, but I love my account rep. I have heard about other people’s experiences with Media.net who say that their account rep doesn’t reply and if you are doing A/B testing and you have an urgent question this can be very frustrating. If this is the case for you, simply contact the support and ask to change it. 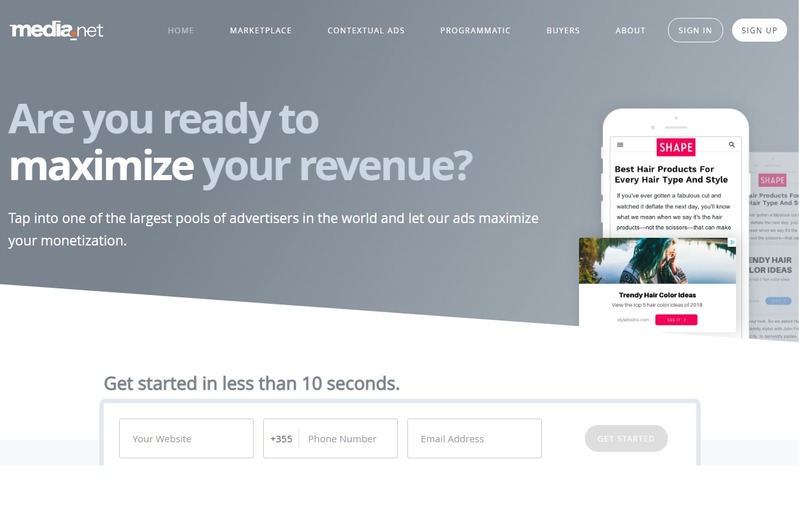 Unlike Adsense, Media.net statistics do not get updated in real time, sometimes you would have to wait until the afternoon of the next day to check how your ads have been performing. The bottom line is that we have had a great experience with Media,net, some of the ad placements have outperformed Adsense. If you would like to read another review of this program, I am leaving you a link to Jon Dykstra‘s website, he is someone who has tried a lot of ads networks: Media.net review by Jon Dykstra. Media.net works great in some niches and terribly in others. If you sign up, they will review your account and will send you an email if you will be accepted. After that it will lead you into an interface in which you will have to add the payment options and your sites. 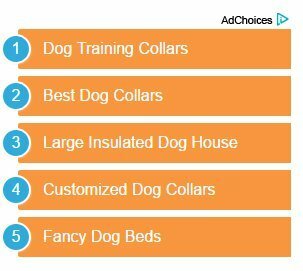 Cllick on “Create Ad” and choose among the ad sizes. Then you will have to choose your ad skin, which is simple the design of your ads and under that you have an option to customize the color. I would suggest that you start with the brand colours, ads generally convert better if they look like they are part of the website. Tool is going to customize desgn and color on it’s own too, you can change the advanced tools if you like but I just like to leave them as they are. You can do this manually with the Ad Inserter plugin. After you install this plugin, go to it’s settings and paste the code of your ads on block 1, 2 and 3. 6 Comments on "Media.net Review for Publishers 2018"
No, there is not a start-up fee for Media.net, the same goes for Adsense. You can sign up for free and start earning from ads on your site. Because time and time again my sites have been rejected by AdSense for no reason, it’s good to know about an interesting alternative that can help: It seems that despite the lack of real-time stats and lack of report as well as weaknesses in some niches, media net still gives a pretty good turnover. Can you estimate the potential of income using them per 5k visitors weekly. I have tried buying traffic before and did not see any result from it except the counter going up on the meter, does this really work at getting real people looking at your website? Hello Chad! I say never buy traffic, it isn’t worth it. Instead just put ads on your site and focus on organic traffic from the search engines. Your visitors are going to click on your ads if they are interested. Next Next post: Is Jobs2Shop a Scam? Will You Make Money or Just Waste Your Time?